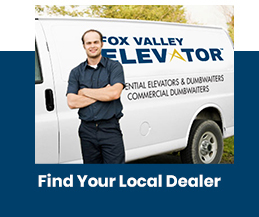 If you’ve reviewed the products and options on our web site, contacting your Waupaca Elevator dealer will be your next step. Our dealers understand that helping you make the right selection requires an assessment of your specific needs. 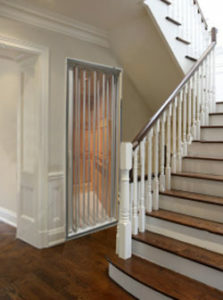 Elevator or dumbwaiter products may sometimes require complex installation or structural modifications to an existing home. In both retrofit or new construction, pre-planning will help simplify your installation and trim your budget. It will be important to regularly inspect and maintain your elevator or dumbwaiter to ensure safe and trouble-free performance. Ask what the maintenance requirements are and find out what your dealer offers in terms of service and repair programs. Waupaca Elevator products are available in a range to fit nearly every budget and design taste. Your dealer will work with you to propose a solution that can be practical, affordable and beautiful. Waupaca Elevator models are designed with standard and optional features. Each drive type and model provides safety, comfort and convenience. Optional features can enhance performance, or add to your design choices. Your dealer will assist you to ensure the product you select address your individual needs. Waupaca Elevator offers a variety of finishes and options with dozens of combinations to match any home decor or design taste. 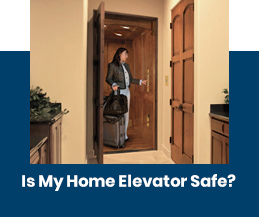 Safety and reliability are paramount with regard to the design and use of a residential elevator or dumbwaiter. Review all safety features with your dealer to ensure compliance with specific state or municipal codes. Your investment in Waupaca Elevator is secure with a full 3-year limited parts warranty — one of the many reasons more architects and builders specify Waupaca Elevator with confidence. It is important to ask about ride comfort and quality of operation. Waupaca offers a range of drive systems to meet every budget and operating standard for stability, speed, durability and reliability.